Li, Hao, et al. “Visualizing the Loss Landscape of Neural Nets.” arXiv preprint arXiv:1712.09913 (2017). 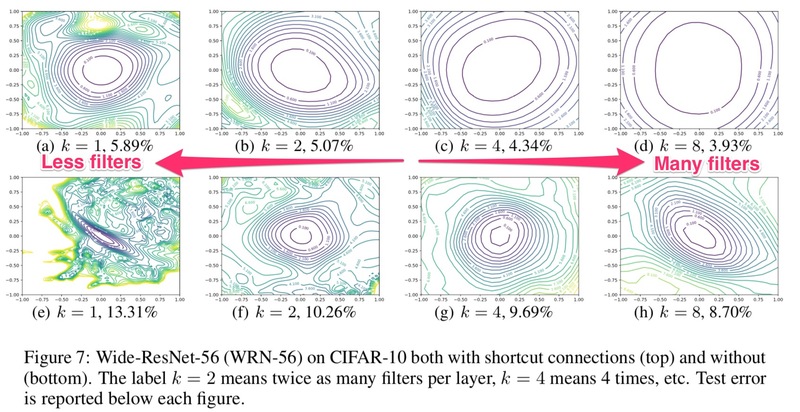 First of all, the method they use to visualize the loss functions, Filter Normalization, I don’t understand, and didn’t take effort to understand. I am more intersted in making inferences from them. TLDR: Smaller (128) is better (then 8192). They came up w/ a clever way to visualize loss functions. They compare gradient surfaces of convolutional networks using small vs large batches & weight decay vs no weight decay. as predicted, the corresponding minima are visually sharper. Results of a similar experiment using ResNet-56 are presented in the Appendix (Figure 12). However, this sharpness balance can be flipped by simply turning on weight decay…. This time, the large batch minimizer is considerably flatter than the sharp small batch minimizer. The authors go on to say in general a smaller batch size around 128 tends to generalize well across most cases. 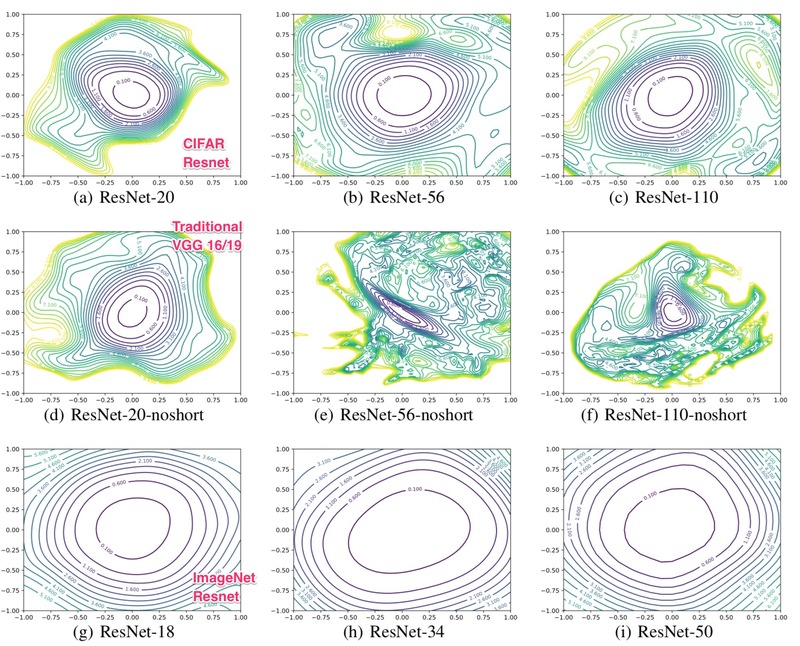 The authors then go on to describe how poor gradients are a product of network depth and how skip-connections (a la ResNet) help mitigate that. Theytake the award winning VGG Arch taken from it’s original 16/19 layers to 56 and finally to 110 layers and show the chaotic surface. They then add skip-connections and show. how the surface is a lot more clean. I wish they did analysis on Inception. Not sure why they would skip it considering it’s one of the most popular CNN architectures.